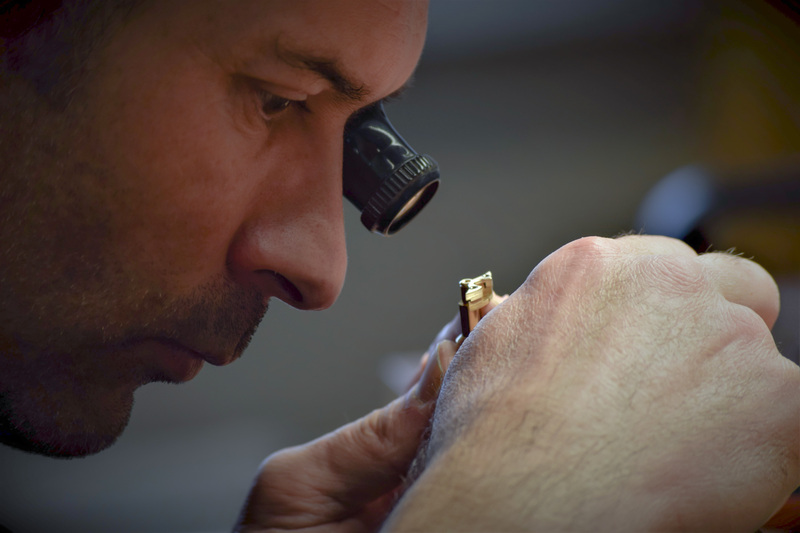 Visiting the Romain Gauthier manufacture is an eye-opening experience. One of the best representatives of the Vallée-de-Joux expertise, this independent watchmaker crafts just over 50 pieces a year with an exceptional level of finishing and an uncompromising watchmaking ethos. 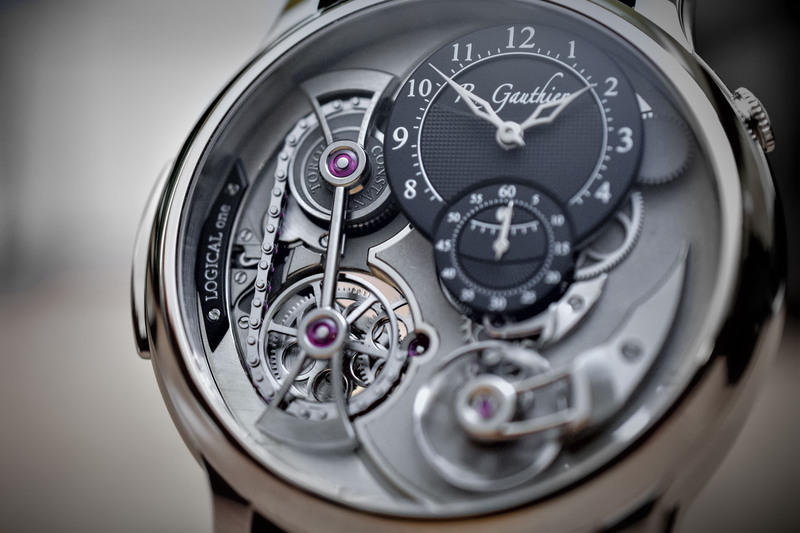 To demonstrate this, we take a look at the ultra-detailed and complex Romain Gauthier Logical One. Indeed, it comes as no surprise to anyone familiar with the work of Romain Gauthier to see detail-obsessed craftsmen at work there. However, the company’s expertise goes well beyond this. 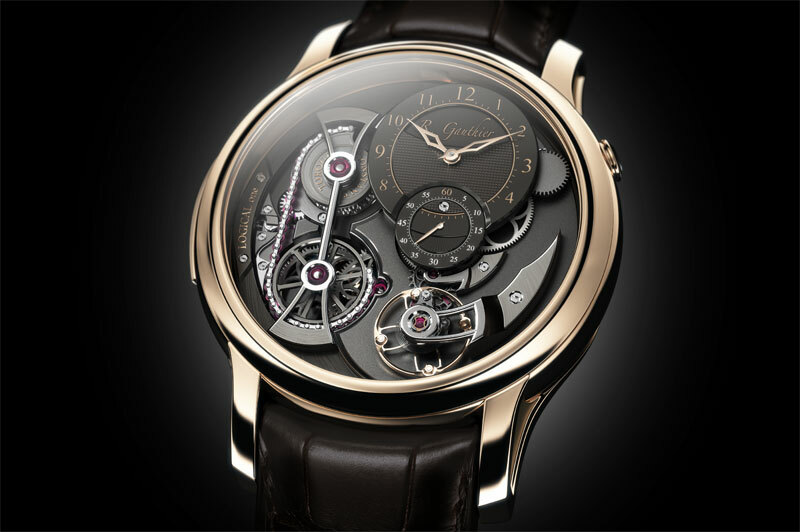 A large part of his activity, less known but truly remarkable, is focused on producing movement components – both for Romain Gauthier (the brand), but also for third-parties. The know-how and state-of-the-art machine park are impressive, explained by the production of highly complex parts sourced by some of the most prestigious names in the industry. 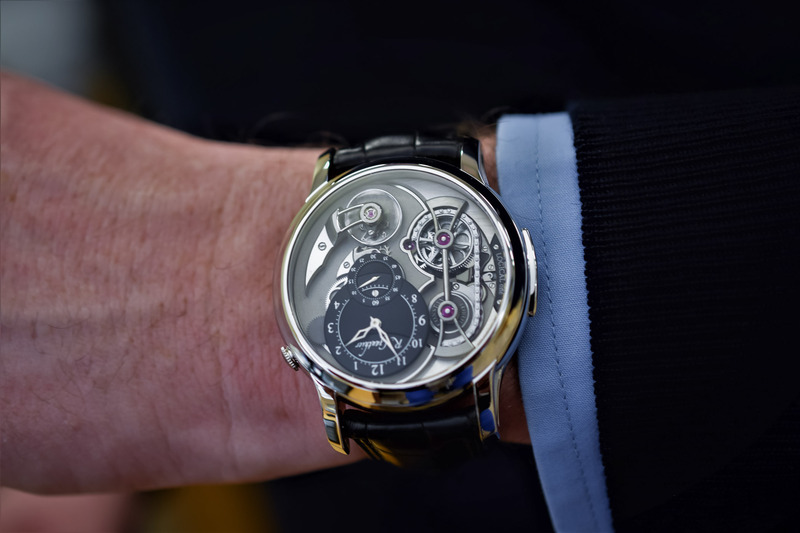 (Editor’s note: Romain Gauthier was previously working for François Golay, a company specialized in mechanical watch components, including high-quality wheels – the company was later absorbed by Frédéric Piguet SA, part of the Swatch Group). Among the brand’s creations, the Logical One holds a special place. This timepiece features a unique constant force mechanism. 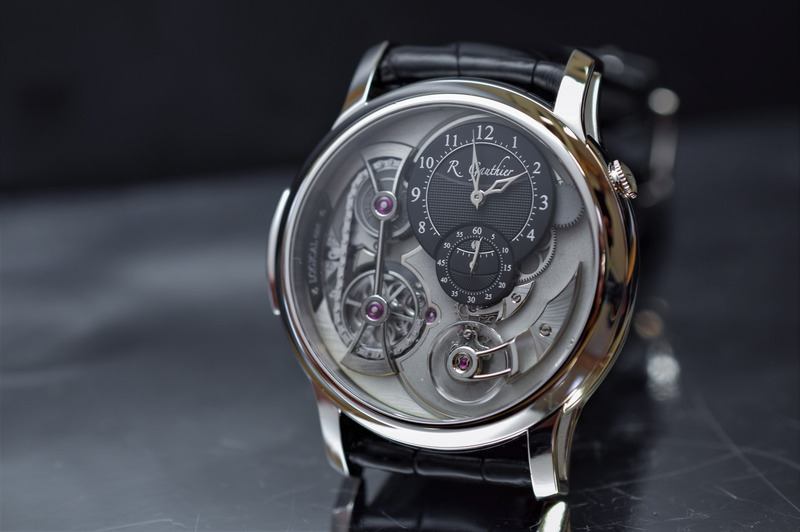 Constant force is a grail of watchmaking and chronometry. The diminishing driving force delivered to the oscillator of watches affects their rate – balance wheels are not perfectly isochronous and the decreasing torque has a negative impact on accuracy. Invented during the 15th century, the fusée-and-chain mechanism is one of the earliest solutions to deliver constant force to the regulating organ of a watch. A fusée consists of a cone-shaped pulley, linked to a chain coiled around the barrel. The fusée features a spiral thread to receive the chain. 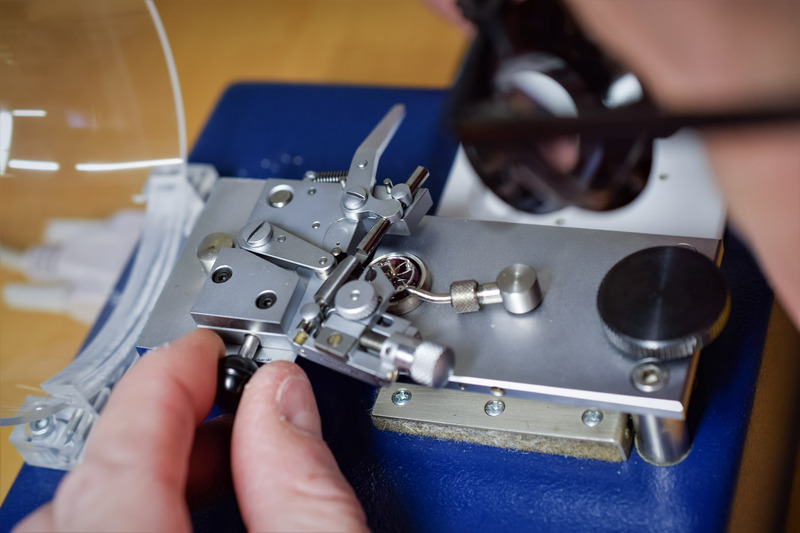 Thanks to the increasing circumference of the thread, the diminishing force of the mainspring is compensated (very much like the gearing of a bicycle). As the mainspring unwinds, the chain rolls on the barrel and off the fusée. The increasing leverage of the fusée compensates for the waning torque of the barrel. Assembly of the miniature chain whose links feature low-friction, hard-wearing synthetic rubies. The chain is joined together via a smart snap-clip system. The Romain Gauthier Logical One features a modern reinterpretation of the fusée-and-chain, proudly exposed on the dial side of the watch. 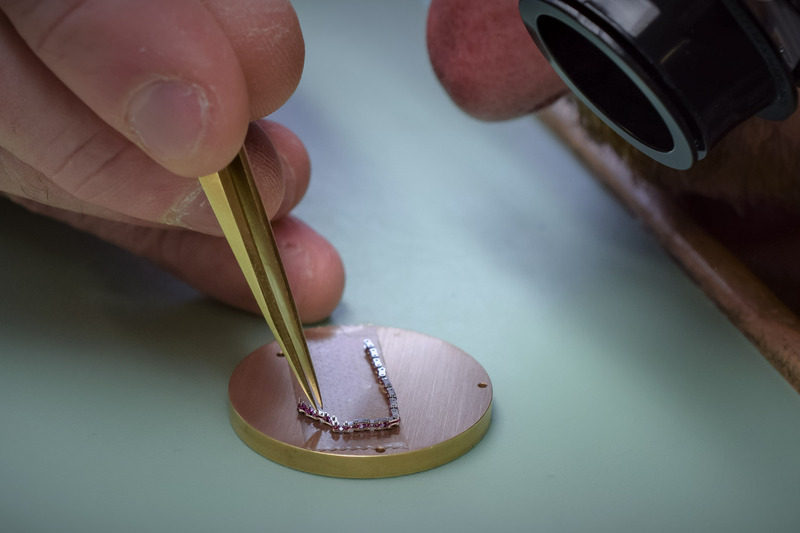 A slow rotating snail cam replaces the fusée and allows for the transmission of force in a straight line, without torsion of the chain whose links feature low-friction, hard-wearing synthetic rubies. To eliminate uneven friction, the barrel rotates in-between synthetic sapphire plates. With a 35.5mm diameter, the hand-wound movement is developed and manufactured entirely in-house, including the regulating organ (cutting the hairspring, pinning up the collet, poising the balance – and a unique triangular pallet for maximum rigidity). The movement architecture is superb with a lot of visual depth and fluid curves for the bridges. Operating at 28,000vph, it can store up to 46 hours of power reserve – which may seem rather low. However, a 46-hour power reserve is quite respectable for a fusée-and-chain movement. It comprises 359 components, including 63 jewels (26 for the chain). The superb finishing of the movement features snailing, frosting, straight graining and circular graining. 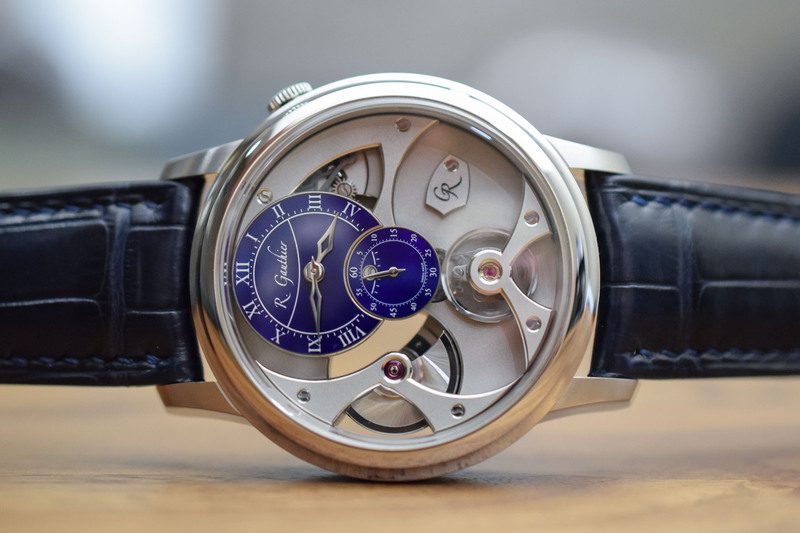 The most impressive part: the bevels have a rounded profile (bercé for those eager to build their French watchmaking vocabulary) instead of the flat surface seen on most of the watches. This is insanely difficult to achieve as the curve needs to be perfect along the whole shape of the bridges. This type of finish is performed by just a handful of craftsmen. The bevels are patiently hand-created and hand-polished. Their surface is meticulously polished to obtain a uniform luster without even the slightest imperfection. This is performed first with a file to shape the bevel, then with a wooden peg. The final radiance is obtained using gentian polishing wood that Romain Gauthier collects himself in the Vallée-de-Joux. The jewel recesses are treated with the same care. The mainspring barrel bridge alone takes nearly 3 months to get it from a raw piece of brass into its finished state. 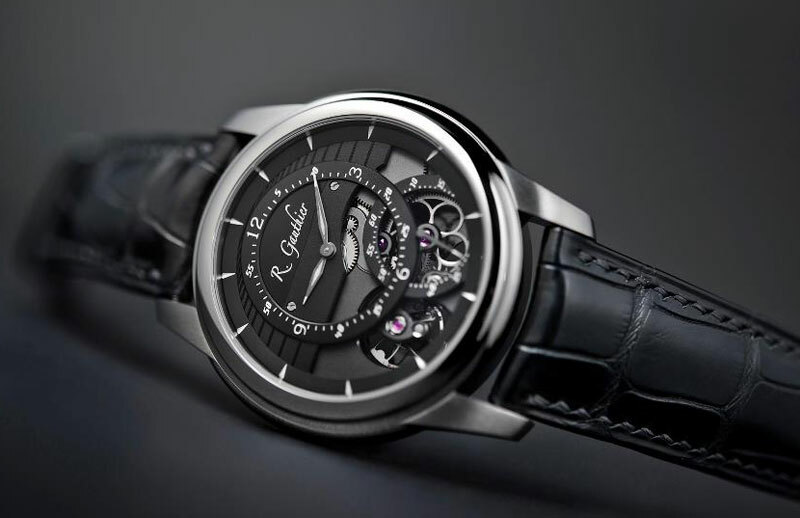 In the characteristic Romain Gauthier style, the wheels feature circular spokes and the screw heads come with an S-slot. 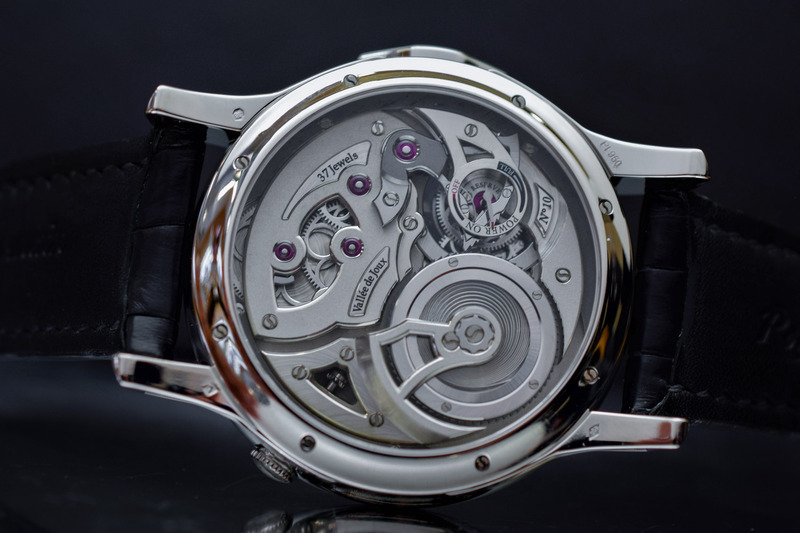 Overall, over 90 hours of hand-finishing are spent on the movement. 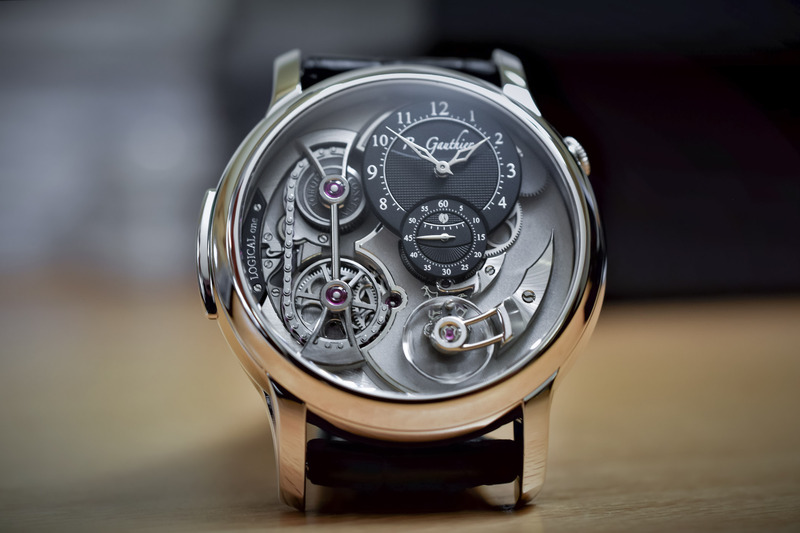 The movement is housed in a 43mm round platinum case – although variants are available in gold or in titanium. The crown at 2 o’clock allows for time setting, while the original pusher set into the case band at 9 o’clock allows for winding. The dial is blackened brass with a Clous de Paris guilloché motif paired with 18k gold openwork hands. The final touch is set with a superb hand-stitched alligator strap with a pin buckle. 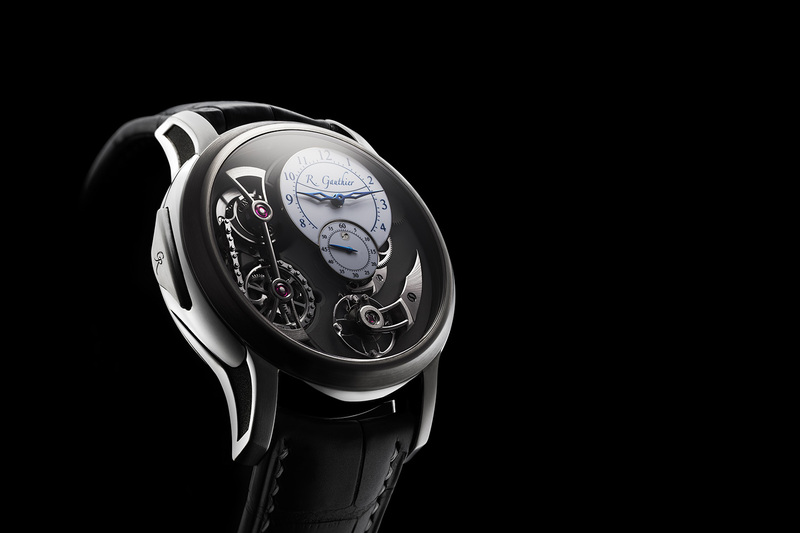 The Logical One was awarded the prize for Best Men’s Complication watch at the 2013 Grand Prix d’Horlogerie de Genève. 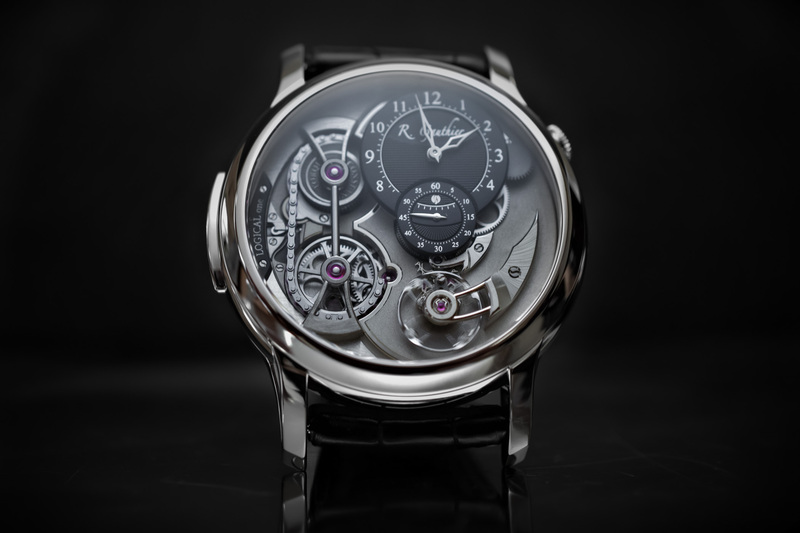 The price for the watch starts at CHF 108,000 for the titanium edition with a “Clous de Paris” dial. The platinum version reviewed here retails for CHF 145,000. For more information, www.romaingauthier.com.